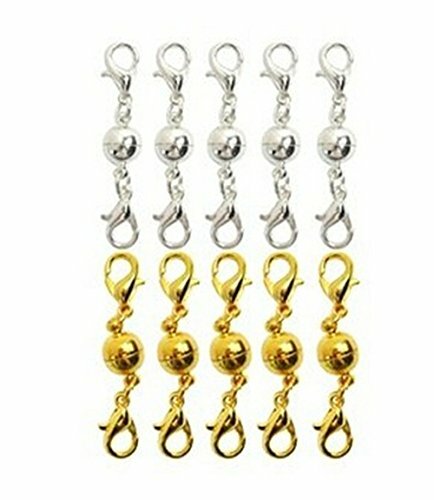 Package including: 5 pcs cylinder silver color magnetic clasps & 5 pcs cylinder gold color magnetic clasps. Easy to install on the necklace and easy to put on and take off for wearing. Simply clip the lobster claw onto your existing necklace/bracelet and clip your necklace's/bracelet's closure onto the chain.